MP4 format is quite popular among computer users, therefore there are numerous video editors that support this format. However, when it comes to Windows 8 compatibility, there are very few of them. If you're looking for a feature-rich and simple to use MP4 editor for Windows 8, you've come to the right place. Check the video tutorial about how to edit MP4 videos on Windows 8 first. 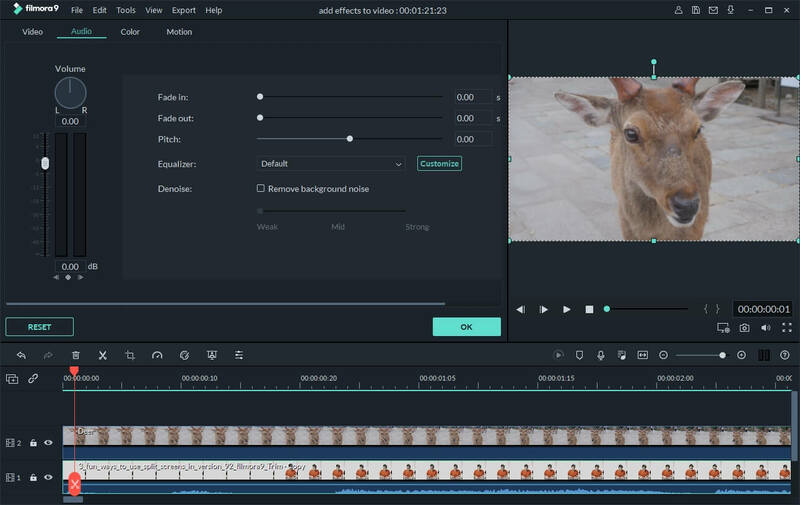 In this article, a stylish and versatile MP4 editor for Windows 8 - Wondershare Filmora (Windows 10/8/7/XP/Vista supported) is shared with you. This program enables you to create Hollywood-like home movies with titles, effects and transitions from all regular videos, audio and photos. Plus, it offers the free trial for you to evaluate. Just download the free trial of MP4 editor Windows 8 and follow below step by step guide. 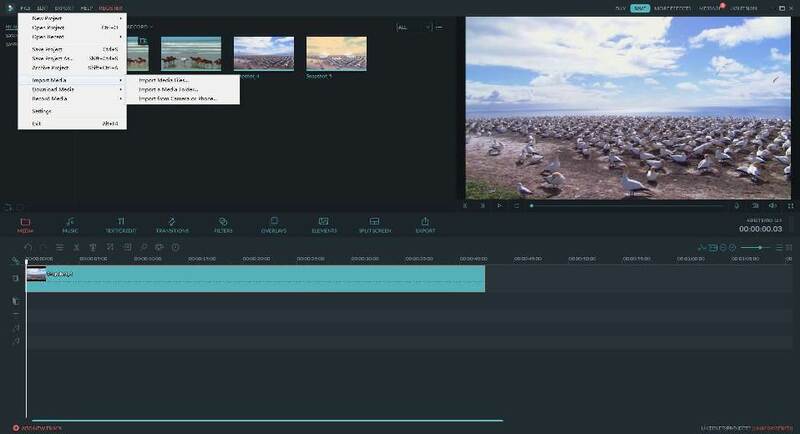 Click Import or directly drop and drop to load your source videos into Filmora after you installed and launched the MOV editor for Windows 8 successfully. The imported MP4 videos will show as thumbnails in the user's album's item tray. Double click it, you can preview them on the right screen (full screen is available), and take snapshots freely. MP4 editor for Windows 8 provides professional yet straightforward editing panels to fully meet your different editing requirements. If you want to edit and personalize your MP4 videos, the timeline panel will offer you the most precise editing. Now drag your MP4 videos to the video timeline, and get ready for below edits. Select a clip in the Timeline, drag the Indicator to where you want to split and click the "Split" button. Then the clip will be split into two. Right click the video clip, you can also choose "Delete", "Copy", "Paste" option. Rotate, Crop, Adjust Brightness, Speed, etc. 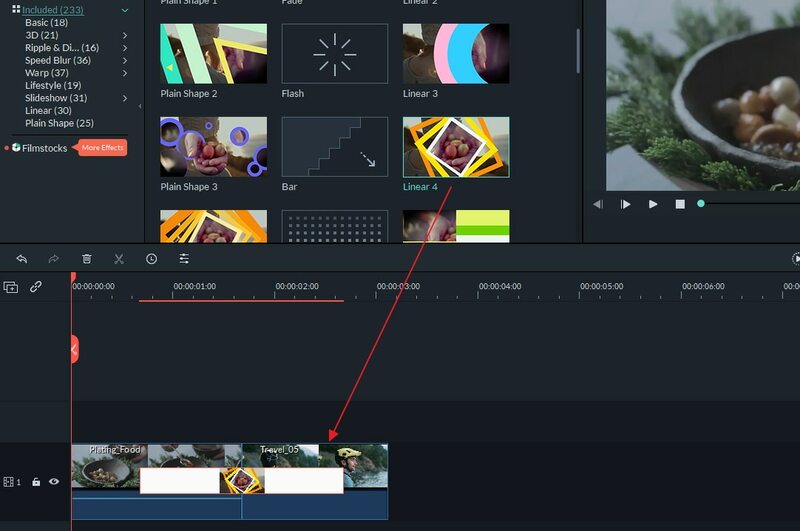 To rotate video, crop some unwanted parts of the video, you can select the editing box as your editing helper. Double click the video clip, or right click and choose Edit option, you'll go to the edit window. Click "Transition" tab on the main interface and drag one scene transition you like to your video, or you can right click on a favorite transition and choose the option "Apply to All", which can apply the certain transition effect to all your videos. In all, with this MP4 editor for Windows 8, everything is at your fingertips. If you also want to add intro/credits, apply special effects, create picture-in-picture effects, etc., please go to the detailed guide. 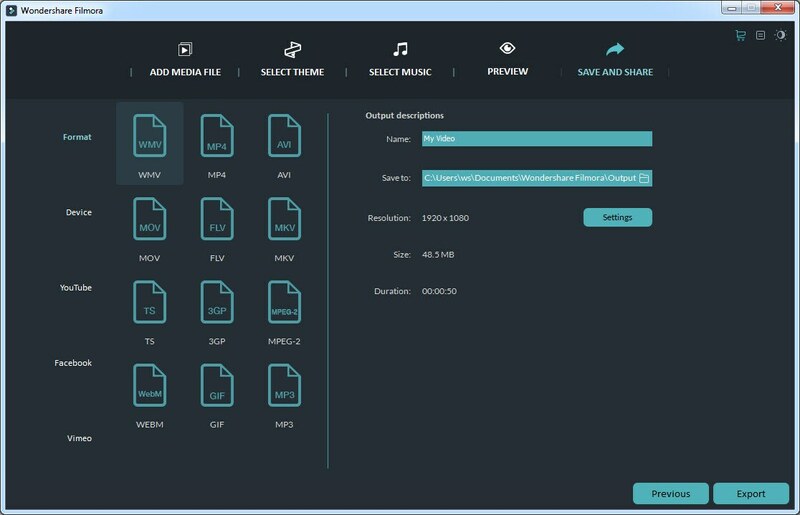 MP4 video editor for Windows 8 makes all things easier to export your created MP4 videos. If you want to watch your MP4 video on iPhone, iPad, or other portable device, you can click "Device" and choose the option. You can also save videos to your computer in various video format like WMV, AVI, MPEG, etc. In addition, you can upload your video to YouTube, or burn them to DVD for convenient watching your MP4 files on TV.